Think! Eat! Act! 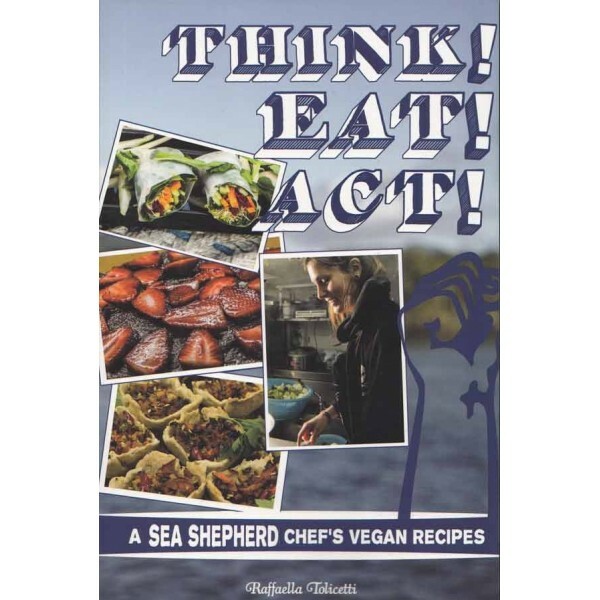 is a cookbook featuring the vegan food prepared on the Sea Shepherd ships' anti-whaling campaigns. Think! Eat! Act! is a cookbook featuring the vegan food prepared on the Sea Shepherd ships' anti-whaling campaigns. 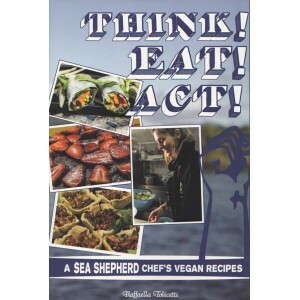 Inspired by the Sea Shepherd's goal of protecting the animals that are victims of human cruelty, author and onboard chef Raffaella Tolicetti uses delicious vegan food to show readers that every action has a consequence, and that you can live both well and compassionately, even while facing the challenges of being an activist living on a ship. The recipes are mixed in with information about vegan nutrition and ocean activism and interviews about being on the front lines of animal defense, getting vegan food in prison, and more! Raffaella Tolicetti has been chief cook on board three different ships for the Sea Shepherd Conservation Society: the Steve Irwin, the Bob Barker, and now the Sam Simon. She has participated in several antiwhaling campaigns and one bluefin tuna defense campaign.